The main story is assisted by many other humorous sub-plots. A rather heavily-accented Spanish swordsman, Don Adriano de Armado, tries and fails to woo a country wench, Jaquenetta, helped by Moth, his page, and rivalled by Costard, a country idiot. We are also introduced to two scholars, Holofernes and Sir Nathaniel, and we see them converse with each other in schoolboy Latin. In the final act, the comic characters perform a play to entertain the nobles, an idea conceived by Holofernes, where they represent the Nine Worthies. The four Lords – as well as the Ladies' courtier Boyet – mock the play, and Armado and Costard almost come to blows. At the end of this 'play' within the play, there is a bitter twist in the story. News arrives that the Princess's father has died and she must leave to take the throne. 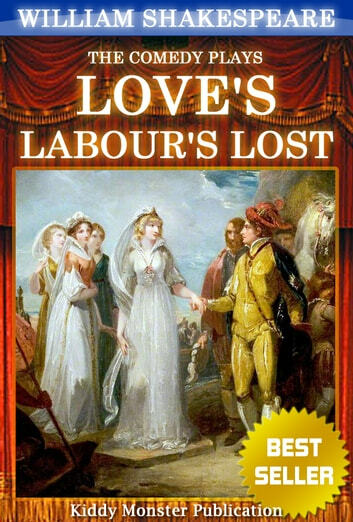 The king and his nobles swear to remain faithful to their ladies, but the ladies, unconvinced that their love is that strong, claim that the men must wait a whole year and a day to prove what they say is true. This is an unusual ending for Shakespeare and Elizabethan comedy. 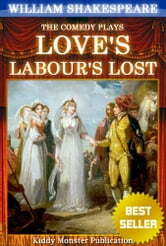 A play mentioned by Francis Meres, Love's Labour's Won, is believed by some to be a sequel to this play.